When you consider your motivation for investing in a professional company website, what comes to mind? For some business owners, the investment is about lending a platform to their brand. For others, building a website seems inevitable. In this day and age, who doesn’t have one? But, for the vast majority of business owners, building a website is first and foremost about lead generation – the chance to harness the attention of your audience and convert each click into a lifelong customer. 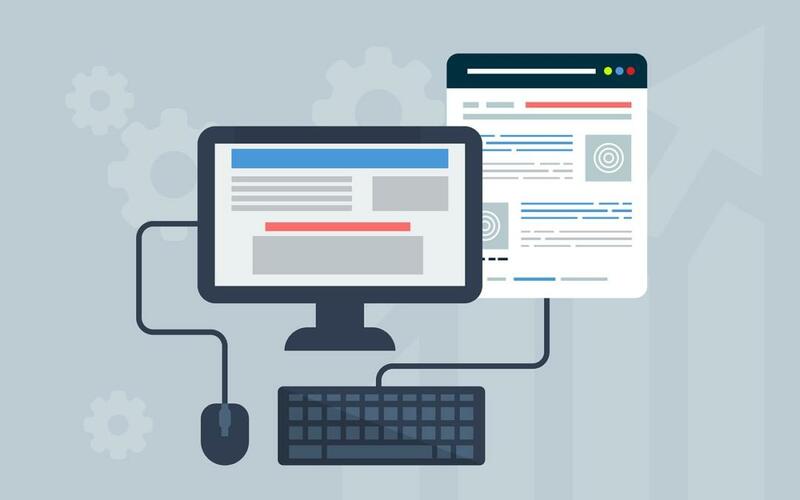 Building a successful website is about more than, “If you build it, they will come.” To put lead generation in the forefront, your website must be impressive, user-friendly, search engine optimized and laser-focused on your short-term and long-term goals. More often than not, your audience isn’t interested in passively reading your website. They’ve come to find specific and detailed information. If they can’t access this information in less than two minutes, they’ll leave. And they won’t come back. Each time a potential customer leaves your website in frustration, you hand them directly to your competition. You can avoid this loss by choosing a user-friendly design, which requires three elements. First, your website content should load quickly. Slow websites have poor SEO results and lower rates of lead generation. Second, your website should employ a responsive design that functions on computer monitors, tablet screens and smartphones of multiple sizes. Choosing an unresponsive design can alienate a large swath of your audience, especially if your website isn’t prepared for mobile use. Finally, your navigational links and page arrangement should be carefully chosen to encourage ease of access. Enable your users to quickly locate desired information by putting commonly asked questions front and center, such as contact information, staff biographies and product details. While there are many important things to consider when designing a user-friendly website, you should avoid clutter and rotating carousels above all else. In the past few years, these two mistakes have become the center of audience frustration. Clutter doesn’t just lower conversions – it kills them! Pop-up boxes, large advertisements, confusing page structure and clumped information are all examples of clutter. Rather than squeezing everything that defines your business and brand onto three or four pages, give yourself space. Remember, your website isn’t limited by number of pages. On each page, use an ample amount of white space. Website designers love white space because it makes important content obvious, places a distinct focus on navigational links and provides a sense of efficiency. Five years ago, rotating carousels were impressive and modern. Now, they just increase loading time. Visitors rarely interact with them, missing potentially important content and often perceive them as advertisements. That’s a bad first impression if your goal is lead generation. The effectiveness of your website depends on user-friendly design and quality content. But, in order to bring potential customers to your website in the first place, you’ll need search engine optimization. Search engine optimization, or SEO, aims to improve your ranking on search engines like Google and Bing. These engines have algorithms that determine which websites are placed on top after certain keyword searches. Your website should be centered around the keywords that define your audience. You’ll also need an HTML sitemap to outline your navigation structure. This structure should be clean, with straightforward and number-free URLs that contain focus keywords. Relevance – Your content website should be relevant in terms of industry, subject matter and style. For example, the website for a local bakery shouldn’t offer legal information. Persuasiveness – The content should also be persuasive in nature. It should be written from the point of view of your customers, with an emphasis on storytelling and decision-making. Authority – To make your content authoritative and credible, you must conduct research and check facts. Edit and proofread carefully and always use technical terms correctly. Usefulness – Needless to say, content must be useful to your audience. Otherwise, what’s the point in reading? Look to solve problems, answer common questions and improve lives. There’s nothing more important than showing potential customers you understand them. In addition to content quality, consider formatting and typography. You can have the best content in the world, but without attractive formatting, your audience isn’t going to bother reading it. Examples of smart formatting choices include headings, subheadings, bulleted lists, short paragraphs and image captions to make your content easier to follow. Paragraphs longer than five or six lines have a tendency to overwhelm readers, often pushing them to leave before they’ve finished. Headings and subheadings can boost SEO when properly written. Bulleted and numbered lists enhance important information. And, since images draw the attention of readers, captions can be used to emphasize critical details. If you want to succeed in lead generation, you must include a call to action on your website. A call to action, or CTA, is how you know your audience is interested in learning more about your product. It encourages visitors to subscribe to your blog, join an email list, download a whitepaper or contact your business directly. Without a CTA, you can’t hope to measure the success of your website. We suggest using a fixed banner at the top or bottom of each page. This ensures your conversion message is always visible to your audience. Are you interesting in building an impressive and efficient website for lead generation? At J20 Designs, we have an extensive background in website design, lead generation, marketing and optimization. Contact us to see how we can help expand and optimize your business’ presence online.